Paradise Scooters at Grace Bay Plaza. 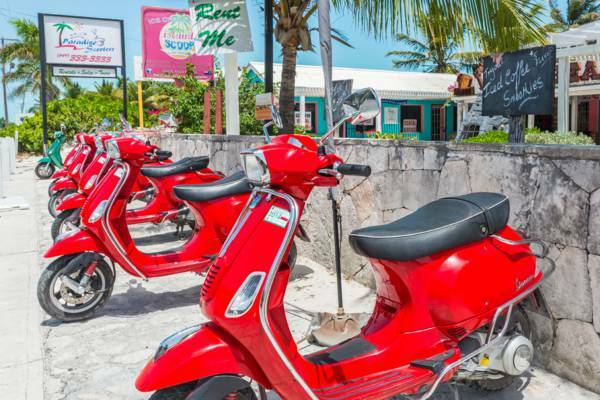 Found at the Grace Bay Plaza shopping complex in Grace Bay, this business offers scooter and hybrid electric bicycle rentals, and guided Vespa scooter tours of Providenciales. Paradise Scooters operates a fleet of Vespa-style scooters. Last reviewed by an editor on 4 February 2019.